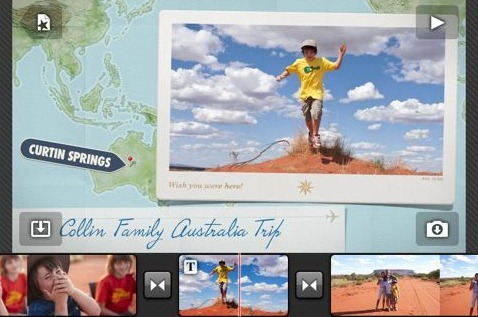 Just in time for the iPhone 4 launch day, Apple has released iMovie app for iPhone 4. If you have already got an iPhone 4 lying around, hit the iTunes App Store now to download this app for $4.99 bucks. • Tap to add or record video right into your project. • Drag to trim the lengths of video clips and photos. • Pinch to zoom the timeline and get a closer look. • Slide to scrub through the video in your project. • Choose from a selection of themes including Modern, Bright, Travel, Playful, and News. • Each theme includes a matching set of titles and transitions – plus its own soundtrack. • Instantly change themes or swap themed elements in your project. • Titles and graphics automatically update with location data from your video. • Select from included music that matches each iMovie theme, or select from your own song library. • Enable ducking to automatically lower the volume of background music and highlight audio from video clips. • Add photos from your own library, or take a picture and drop it into your project. • Customize each photo with a unique “Ken Burns” panning effect. • Export your movie in one of three sizes: Medium, Large, or HD. • Share your movie on the web in a MobileMe gallery or on YouTube. • Send your movie to friends and family in an email or via an MMS message. • Easily sync your movie back to your computer. 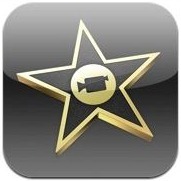 iMovie for iPhone 4 can be downloaded via the link given below. so is there a reason that this isn't available for the 3gs? processing power or something?